EXPERTS want to raise awareness in GPs and general paediatricians of a “poorly understood” food allergy, often misdiagnosed in infants as sepsis or gastroenteritis. Food protein-induced enterocolitis syndrome, or FPIES, typically presents between one and 4 hours after ingestion of the trigger food, with symptoms including profuse vomiting, pallor and lethargy. Other features can include hypotension, hypothermia, diarrhoea, neutrophilia and thrombocytosis. 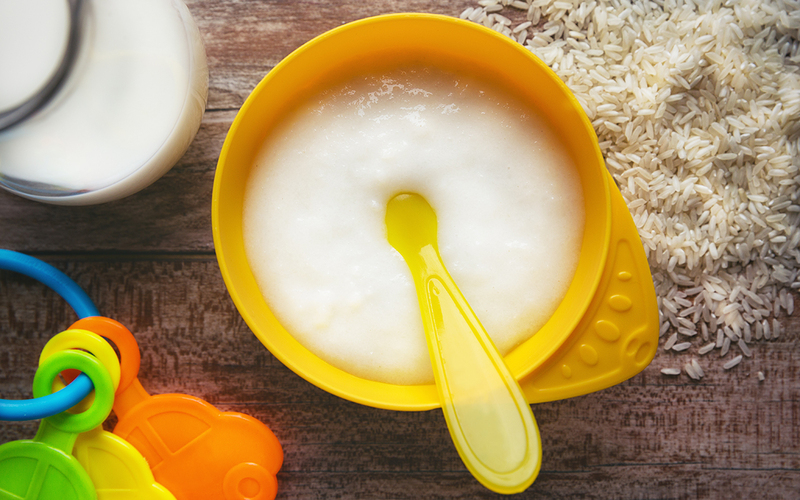 The authors of a narrative review, published by the MJA, wrote that in Australia the most common food triggers for FPIES were, in descending order, rice, cow’s milk, egg, oats and chicken. “Diagnosis is often hampered by the lack of awareness of FPIES, absence of reliable biomarkers, the non-specific nature of the presenting symptoms, and the delay between allergen exposure and symptoms,” the authors wrote. No blood test exists for FPIES, and the treatment in an acute setting is fluid replacement, with ondansetron also effective. Long term management involves confirming diagnosis via a food challenge, and “avoidance of identified trigger foods”. Professor Dianne Campbell, co-author of the review, and Chair of Paediatric Allergy and Clinical Immunology at the University of Sydney and Children’s Hospital, Westmead, said in an exclusive podcast that researchers were “at the very beginnings of understanding what mechanisms underlie FPIES”. “It’s very clearly not a typical food allergy,” Professor Campbell told InSight+. “There’s no point doing skin tests, EpiPens don’t help with these babies, because that’s not the symptom cluster that children get when they have an FPIES reaction. Babies who present at emergency rooms with symptoms can often be misdiagnosed with sepsis or a severe gastrointestinal virus, Professor Campbell said. Although sometimes misdiagnosed, once correctly identified and treated, babies recover quickly. “They’ll look terrible – they’re pale, they’re floppy, they’re dehydrated, and then with profuse vomiting, and then they subsequently often get diarrhoea. As soon as you give them some ondansetron and give them some fluid, in 2 hours’ time they look fabulous,” said Professor Campbell. FPIES is predominantly an infant disease, with most children outgrowing the allergy by between 2 and 4 years, depending on the trigger food, the authors wrote. Adults can develop FPIES, said Professor Campbell, but numbers were difficult to verify. GPs and general paediatricians may see FPIES more often than they think, said Professor Campbell. Information for physicians, parents and patients on FPIES is available at the Australasian Society of Clinical Immunology and Allergy website. Misdiagnosis of this condition was exactly our experience when introducing infant cereal (a combination rice, corn, oats) to our child around 6 months. He presented with profuse vomiting and lethargy about 2 hrs after ingestion. He would vomit profusely, and then pass out asleep. The first GP told me I was over feeding my child! !, the second incident I phoned my MCHN and she recommended I bring him to ED. At this point, I was seen by another GP who diagnosed gastroenteritis, despite lack of fever. Both of these incidents he recovered within a few hours. The third time I managed at home, and from that point forward stopped introducing the cereal, as it seemed to be the common link. He was tolerating other solids such as mashed vegetables. At seven months we saw an eczema nurse specialist (for his severe eczema, since 3 months old) at the RCH and she was the one to suggest FPIES. This was the diagnosis that fit his presentation, and the one I accepted, though with no further food challenge. I never reintroduced the cereal, continuing with vegetables, fruits and meats as first foods. As it stood he also had confirmed IgE mediated egg allergy on SPT, but by around 18 months, it seemed he was tolerating egg. He still has eczema at 5 years of age with reasonable control. He had a number of severe allergic reactions (hives, angiodema, breathlessness, lethargy) in the setting of exercise, and unclear ?food allergy? around the age of 3 (still IgE positive on SPT for egg). He has been eating all foods including raw/runny egg. He seems to have outgrown this severe allergy at age 5, though unclear exact cause. 43 years on and I am learning as fast as day one. t/hank you.